All 26 of our sales and prospecting letters are written and designed specifically to achieve ONE GOAL: to make people call you! Our letters are written to make that introduction. 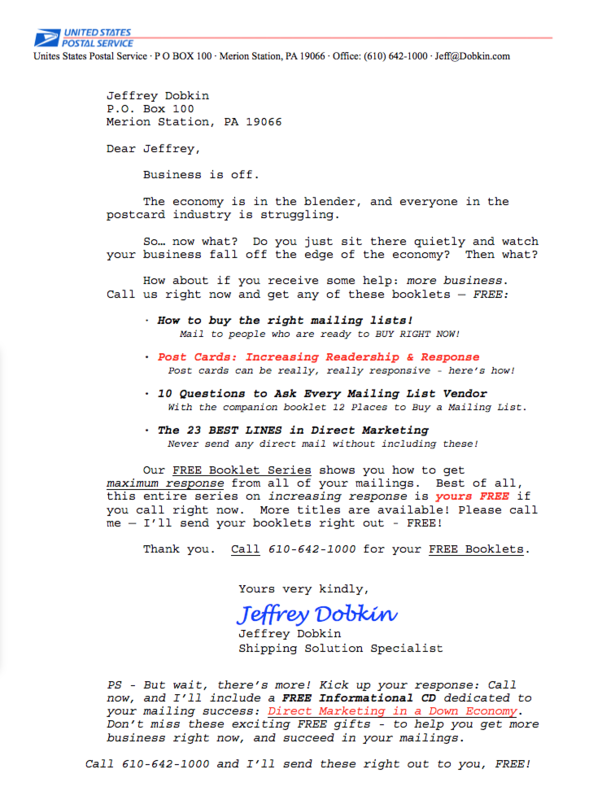 Complete your marketing in one evening with over two dozen awesome sales letters! Purchase, download, print and mail! Or – display on your website, use in email or as a cover letter! All your business starts with a PHONE CALL, and these letters have only one objective: generate phone calls! Order Today: get more phone calls & write more business than you ever thought possible! Our Insurance Sales and Prospecting Letters offer you a complete marketing campaign in a single instant download. Post to your website, send in email, or start mailing as early as tonight! Our original offer was 12 letters, but we’ve been busy writing new letters – order now and you’ll receive every letter in this entire awesome letter template collection: Get all 26 letters! Mail to cold lists, house lists, or increase calls from current clients as well! 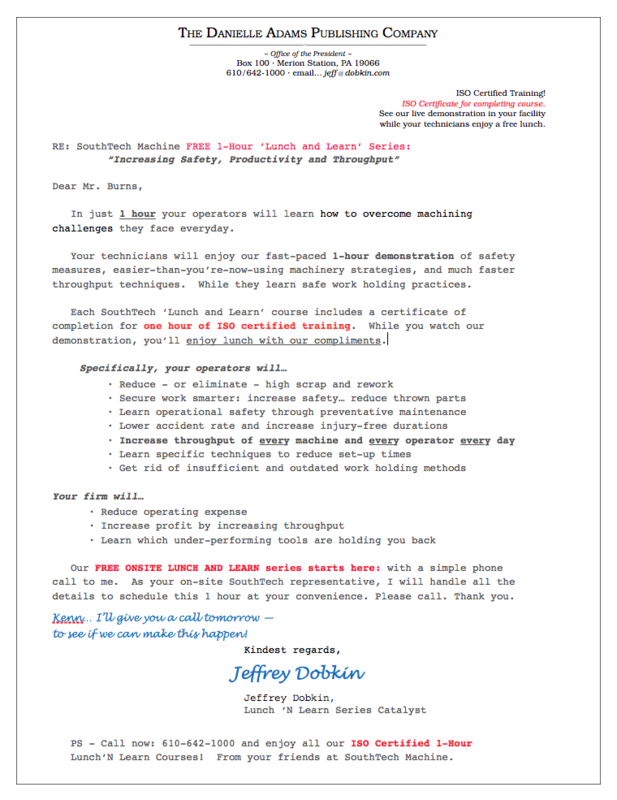 Traditional… Use offline: Traditional well-written direct mail letters still work great at generating response! 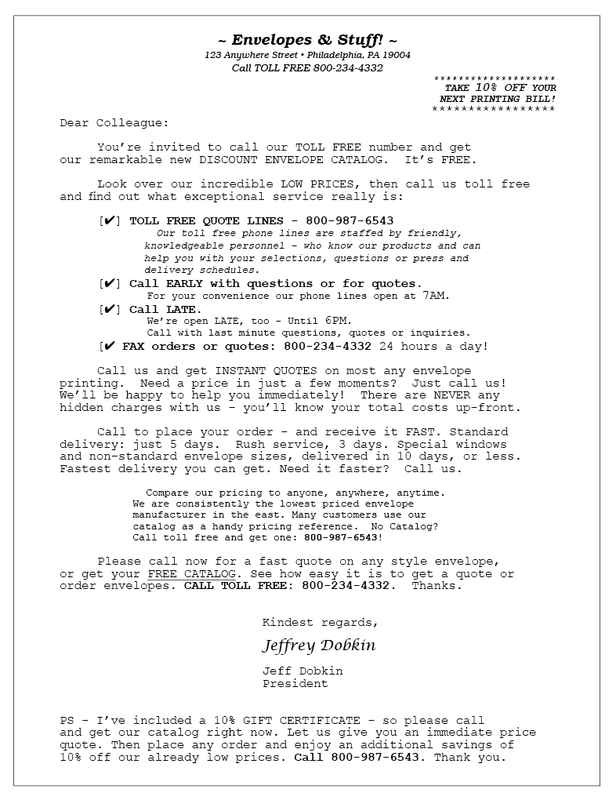 Online: Use letters to generate calls from your website visitors, through email marketing & for custom personalized mailings. Order our Awesome Insurance Sales Letters (view insurance solicitation letter sample) and you’ll get a full range of prospecting letters: Free policy review, new specialized policies now available, FREE quotes, trigger events (marriage, children, new home, new employment, age, retirement) or most any changes that mean it’s time for policy reviews! 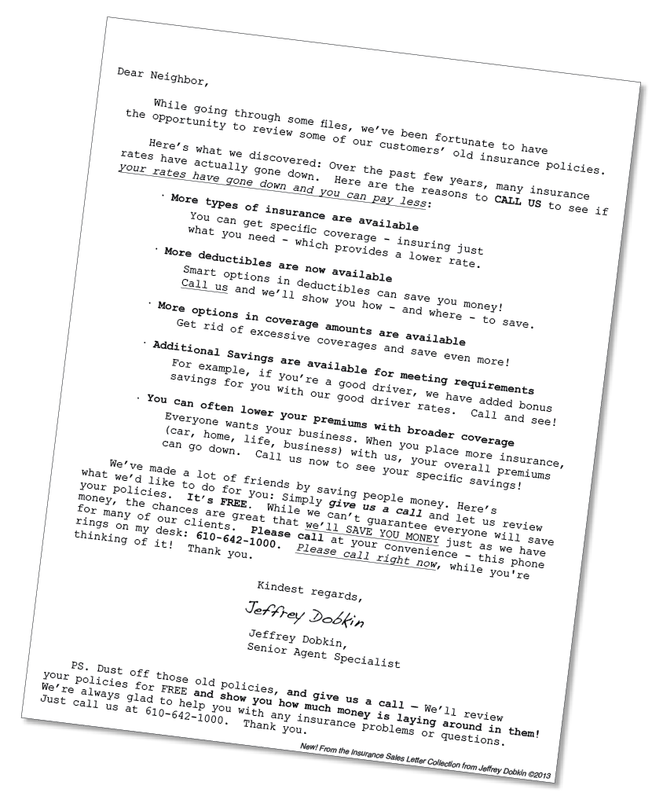 Our Insurance Sales Letter Templates also include folding-in another agency, broker vs. agent, medicare, agent vs. broker; letters for new person handling account, agent transition; prospecting for long term care insurance, life insurance, auto prospecting, FREE gift with quote — and plenty more…! 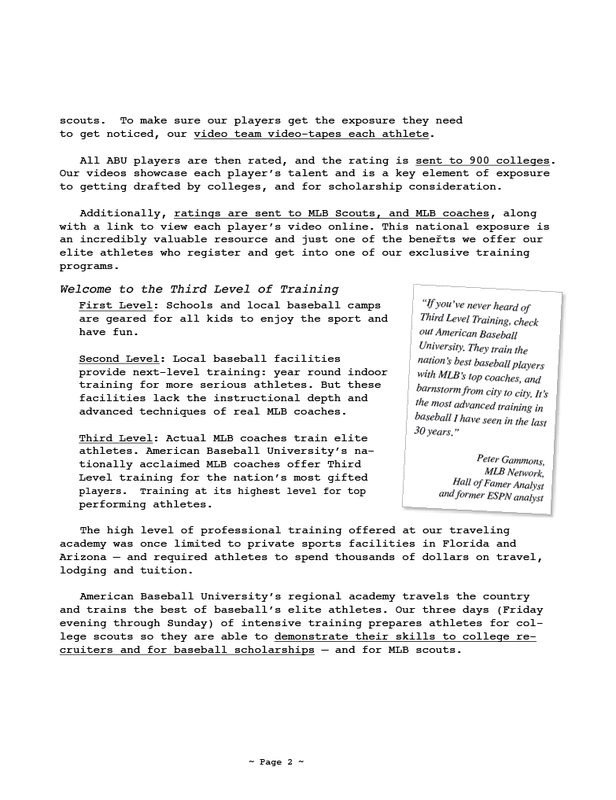 Here are just a few of the highly-responsive Insurance Sales Letters you’ll receive in our sales letter template package. Use these letters as they are presented, or personalize and customize them for even greater response. While they take many forms, and cover a lot of ground – all letters are written with one purpose: to generate one word from your readers: “Hello!” — when readers call you. Buy with confidence, our letters are well written and handsomely designed. How do our customers feel about our sales letter series? Returns to date: -0-! We have NEVER had a set returned in the four years we’ve been selling our sales and marketing letters on our website. 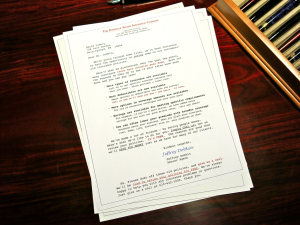 Letters are delivered to you in Microsoft Word so you can personalize or customize them, add your letterhead right in the file, or print on your company stationary and mail immediately! Your choice… Whatever is easiest for you. Start out mailing just a few a day – or a few hundred letters a week – see the impact! Get phone calls! Each letter is written and designed to increase your business by bringing you the highest number of phone calls possible! Then you have the opportunity to speak with interested customers and create sales. No more cold calls – ever. Please note, we don’t just send you the raw copy and say ‘Hey, good luck with that…!’ All of our letters are handsomely styled and fully graphically designed. They’re completely ready for you to post on your website, email, or to print on your letterhead and mail. Or – take to any copy shop or commercial printer. They work on any level: you can personalize and send, or just mail the way they are… whether you’re mailing 25 a week, 250 a week, 2,500 or twenty five thousand! These letters are our best, most responsive prospecting tools we have ever written to make your phone ring! Order now for immediate download. Start mailing letters within the hour, and getting calls, getting new clients and writing more business by this weekend. You stick to what you do best: selling insurance & closing sales. We’ll stick to what we do best: writing letters that generate phone calls for our clients. It’s a win-win! Questions? Call us: we’re real people and always happy to help. Call 610-642-1000. 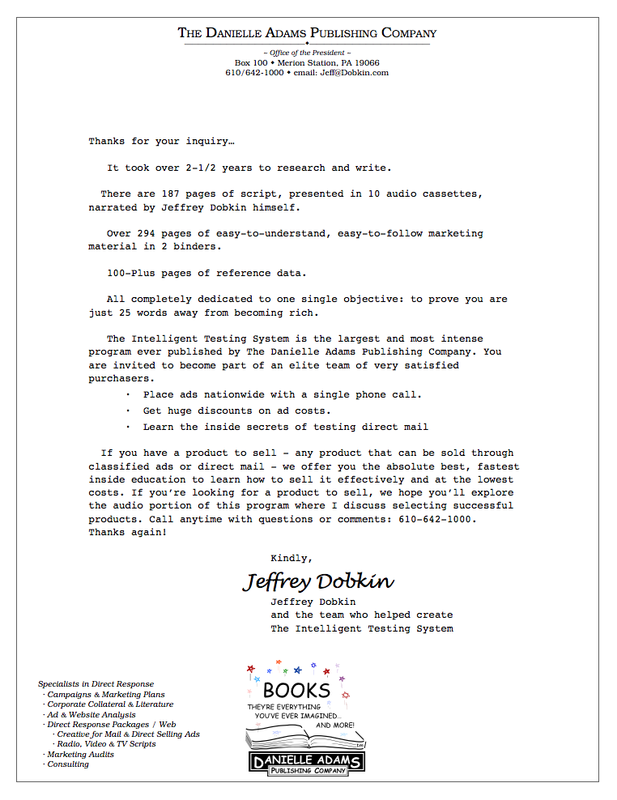 Email Jeffrey Here: Jeff at Dobkin dot com. Your comments are also most welcome. Well, the good ones, anyhow. Thank you. Go ahead, shop around – see samples of other writer’s letters. Then you’ll come back — because you’ll know why ours work so well. 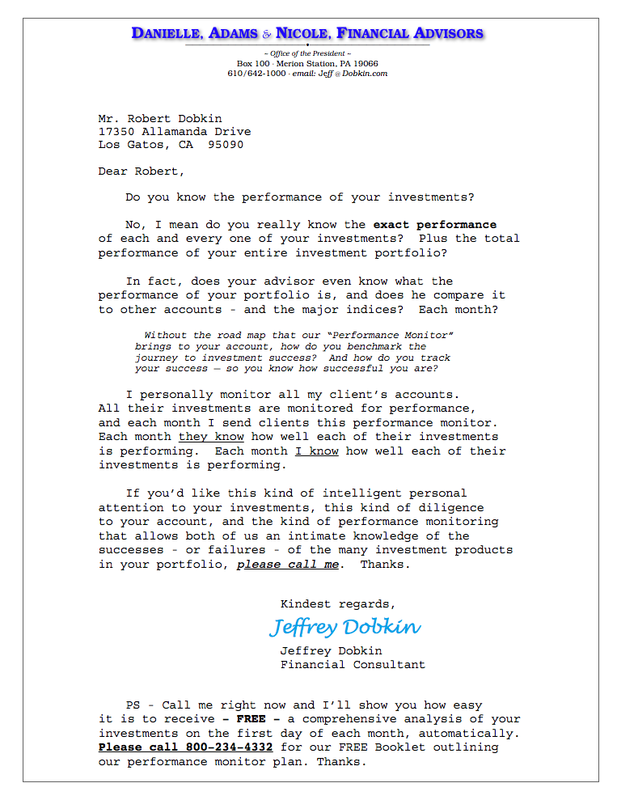 Each letter takes Dobkin 10 to 12 hours to research, write and design. Limited distribution: They’re not for everyone and we only sell a few sets a week. Still unsure? You are always welcome to call with questions – 610-642-1000 rings on Jeffrey’s desk. Thank you. Yes! 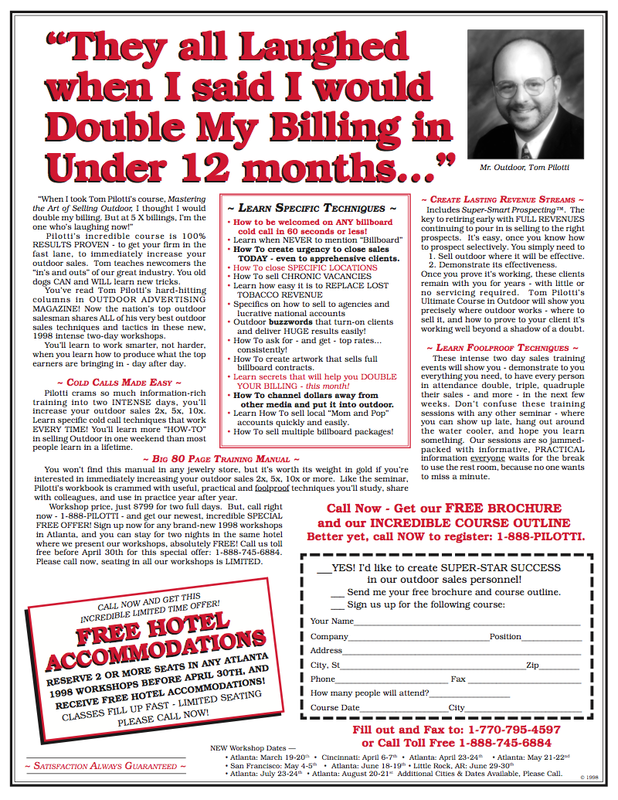 Send me your awesome set of over Two Dozen Insurance Sales Letters! Cost: Just $195. Reason: They’re worth it. We know, it’s expensive! But our letters work, and they pay for themselves with the first phone call you receive. Our letters are unique in the entire industry – they have just one goal – to generate phone calls. And they work really really well to drive readers to call you. We truly believe every sale, every client starts with one word: “Hello!” Our letters are written to help you reach that objective. Please Order Now! 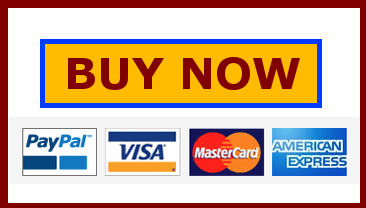 When you place your order, you will be taken directly to PayPal – for secure payment — where you can use PayPal or ANY CREDIT CARD as well! Still have problems or questions — please call! Jeffrey Dobkin is always happy to speak with customers and friends. Your full letter series download is then immediate! Thanks. Questions? Call 610-642-1000. Our letter licensing terms are simple: licensed for a single user (person) to mail as many times as he or she wishes without limits to time. This additionally includes everyone at a single office location with your agency of up to 10 people. If you have a larger firm or several offices, please call for our group licensing opportunity for larger firms. 610-642-1000. Thank you. Custom Letter Writing Service: Call us for a fast FREE quote! Need something more personal? 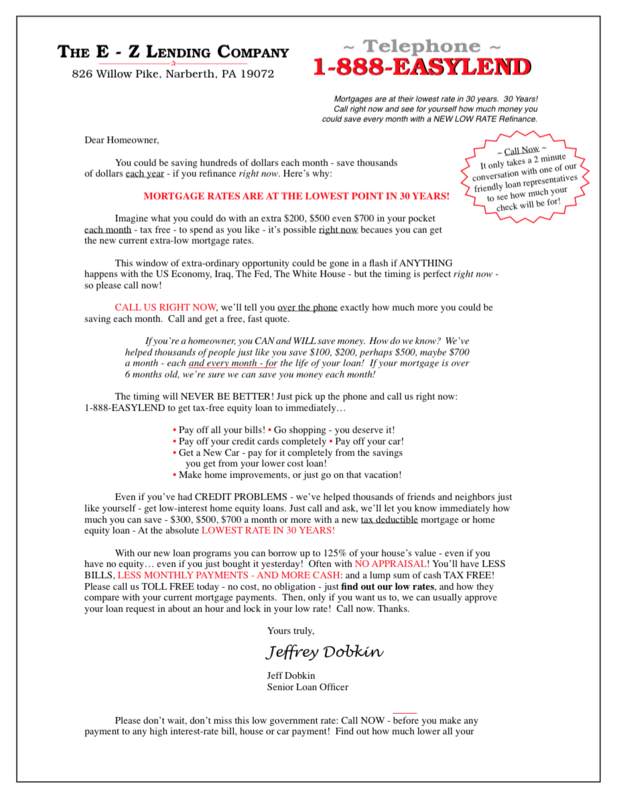 Jeffrey Dobkin writes custom and personal letters for clients as well! He writes (and designs) letters, informational booklets, ads, corporate literature, websites – for any occasion within the confines of legality and good taste. Go ahead – call and ask. 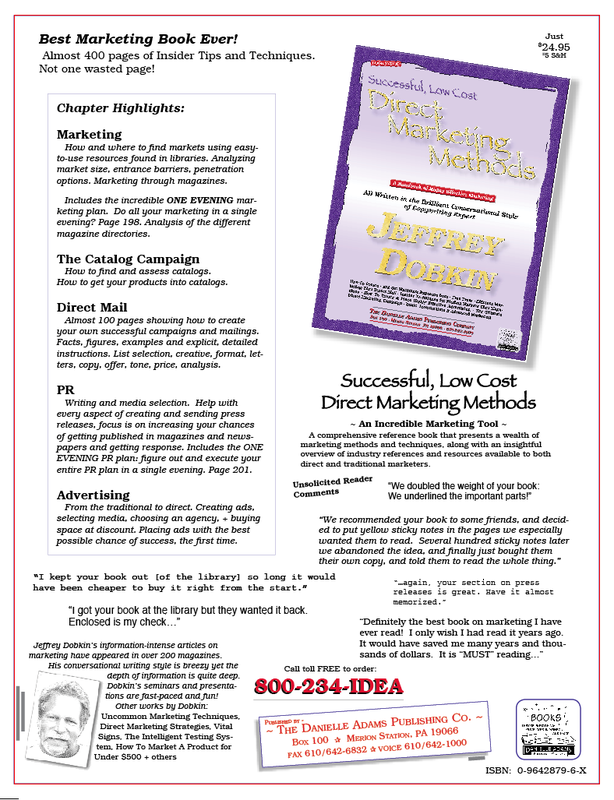 You’d be surprised at how many people rely on Dobkin to write and design their corporate communication packages! Just call and inquire. Thanks. Call for a FREE Quote on Custom Letters, Web Content, Catalog Copy, Advertisements, and all your writing needs: 610-642-1000.